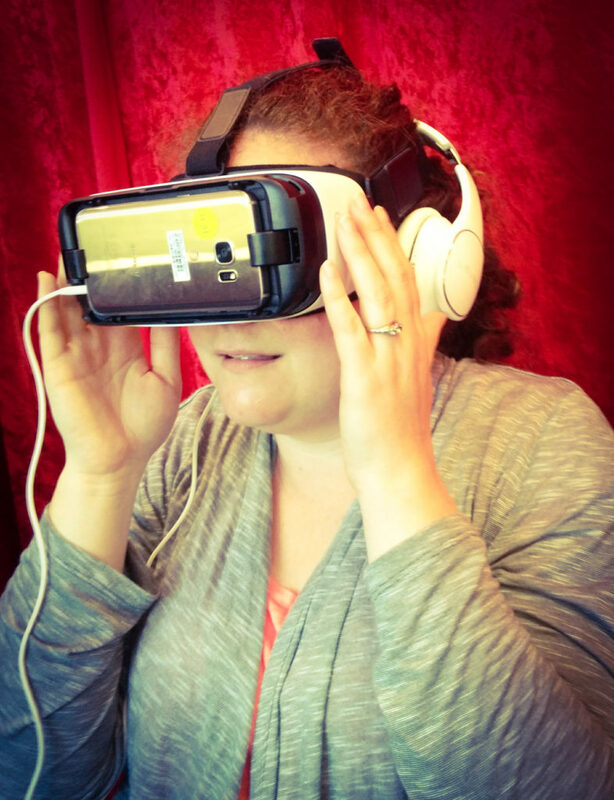 I had a great time checking out the Virtual Reality pieces at SIFFX on June 5th. The pieces were shown on Samsung Gear VR sets and the HTC Vive. The headsets were impressive and helped a lot with the stabilization issues that I’ve seen with other VR headsets. It was great to see Music of the Spheres in a higher quality headset that did not bobble with the natural motion of your head. Maybe we’ve now solved some of the sea sickness issues associated with VR experiences – one can only hope! I was also impressed with the work of Nonny de la Pena whose VR work is what she calls “immersive journalism.” She uses animated Virtual Reality environments to immerse her audience in different experiences. Many use source footage as the basis for the animation and/or audio. Her work is incredibly powerful and I highly recommend checking it out if you get the chance.